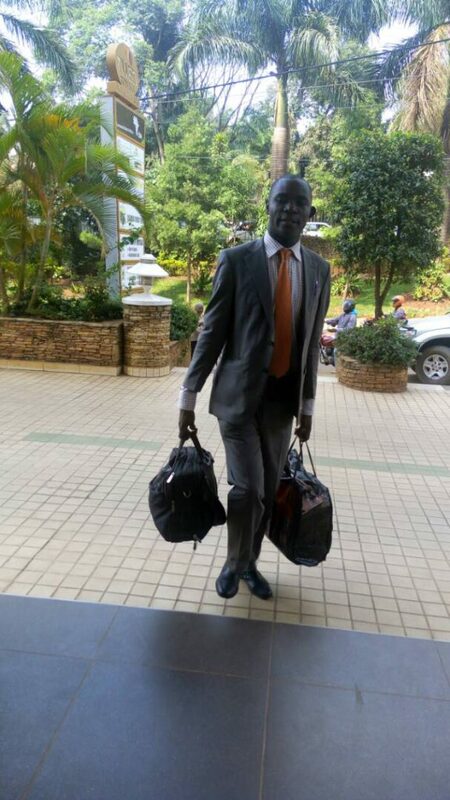 KAMPALA– Lawyer Hassan Male Mabirizi has petitioned the Constitutional court seeking orders for the immediate release of the Kyadondo East MP Robert Kyagulanyi Ssentamu alias Bobi Wine and other civilians charged before the General Court Martial. In his petition filed before the Constitutional Court, Mabirizi claims Bobi Wine and other civilians are charged before an incompetent court whose mandate is limited to discipline errant UPDF soldiers and not civilians. He also faults parliament for making laws that subject civilians to the jurisdiction of the court Martial under the UPDF Act of 2005. “According to section 119 of the UPDF Act, A civilian who aids a serving UPDF officer to commit an offence is subjected to Military law and section 210 of the same Act provides that any person found in possession of a fireman or an ammunition which is only a monopoly of the UPDF is charged under the Army court,” reads in part the court document. Mabirizi contends that unless the Constitutional court nullifies the above sections of the UPDF Act for contravening the Constitution, several other civilians including himself are probable candidates to appear before the incompetent General Court Martial. He says that Civilians like Bobi Wine if found in possession of Firearms, he should be charged under the Firearms Act of 1970 before a civil court and not a Military tribunal. Mabirizi explains that the Fire arms Act provides for possible sentences such as a ten years imprisonment term and a court fine not exceeding Shs20,000 for a person found guilty of unlawfully possessing firearms. He now wants court to declare that the actions of UPDF to remand and sentence none-members of UPDF to military barracks/ facilities after appearing before the General Court Martial or any other military tribunal are inconsistent with and in contravention of Articles 8A, 20(1), 20(2), 22(1), 28(1), 44(C), 126(1),128(1), 128(2), 129 &210 of the constitution. Mabirizi also wants a permanent injunction issued against the General Court Martial from prosecuting Bobi wine and an order to unconditionally release him and other civilian suspects remanded at the Military barracks /facilities.